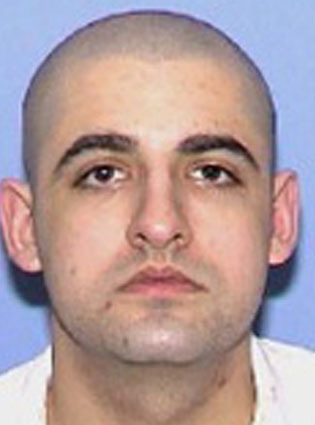 Juan Edward Castillo has been executed by the state of Texas. Juan was pronounced dead at 6:44 pm CDT, on Wednesday, May 16, 2018, inside the Walls Unit execution chamber at the Huntsville State Penitentiary in Huntsville, Texas. Thirty-seven-year-old Juan was convicted of murdering 19-year-old Tommy Garcia, Jr., on December 3, 2003, in San Antonio, Texas. Juan spent the last 12 years of his life on Texas’ death row. Juan had previously worked as a cook and a laborer. He was previously convicted of deadly conduct with a firearm. During the trial, witnesses also testified that Juan was a violent man, threatening and beating the mother of his child. Additionally, he had previously shot a man during a road rage incident, boasted about similar crimes, and bragged about committing home invasions and robberies. In December 2003, Juan Castillo was dating Debra Espinosa. Late on December 2, and during the early morning hours of December 3, 2003, the couple was with Francisco Gonzales, a friend of Castillo, and Gonzales’ girlfriend Teresa Quintero. The four of them created a plan to rob Tommy Garcia, Jr., with whom Espinosa had previously been intimate. Espinosa was to take Tommy to secluded spot in a residential neighborhood in San Antonio, Texas. Castillo and Gonzales, in masks and armed with guns, would storm the car and rob Tommy. Espinosa would play along, as if she were a victim too. Quintero would serve as the get away driver from Castillo and Gonzales. During the ensuing robbery, Tommy was shot and killed by Castillo, according to the others. Gonzales was arrested by the police as he fled from the scene, with Espinosa arrested a short time later. Both agreed to testify against Castillo in exchange for a reduced charge and a sentence of forty years in prison. Gonzales and Espinosa testified that Castillo took the lead in planning the robbery. They also testified that he was the person who shot and killed Tommy. Some of Gonzales’s family members also testified that they heard Castillo confess to the crime and speak of how he hid the evidence. Two of Tommy’s friends testified that they were with him when he received a phone call to meet up with Espinosa. Shortly thereafter, they received a phone call from a hysterical Espinosa, who said that Tommy had been shot. Castillo had also been seen wearing a distinctive necklace that Tommy had been wearing the night he was killed. Castillo was convicted. During the punishment phase of the trial, Castillo elected to represent himself, a move that was allowed after the court determined Castillo was making a knowing and voluntary decision. His two appointed attorneys remained as stand-by counsel. Castillo was sentenced to death. Juan Castillo had been scheduled to be executed on Thursday, September 7, 2017. His execution was delayed at the request of the Bexar County District Attorney’s Office. They requested that Juan’s execution be rescheduled due to the devastation caused by Hurricane Harvey days before. In their request, the Bexar County District Attorney’s Office noted that several members of Juan’s legal defense lived and worked in the Houston area, which was hit particularly hard by the hurricane, with torrential rain and flooding. The request was granted and the execution rescheduled for December 14, 2017. The December execution was stayed by the Texas Court of Criminal Appeals in order to all time to investigate claims of false testimony. Ultimately, it was ruled that the testimony of the witness who recanted was not pivotal to the case. Please pray for peace and healing for the family of Tommy Garcia. Pleas pray for strength for the family of Juan.